On 22nd October, 1897 Bro. Major R.L.S. Badham, who was occupying the Chair, worked the second degree in a manner described as exemplary by the then Senior Member of the Committee, Bro. Robert Clay Sudlow, who was precepting on that occasion. Sudlow subsequently presented him with a silver matchbox to mark the achievement; he also – at his own expense until the rest of the Committee decided that he should be relieved of the burden – made similar presentations to other Brethren attaining a similar standard. 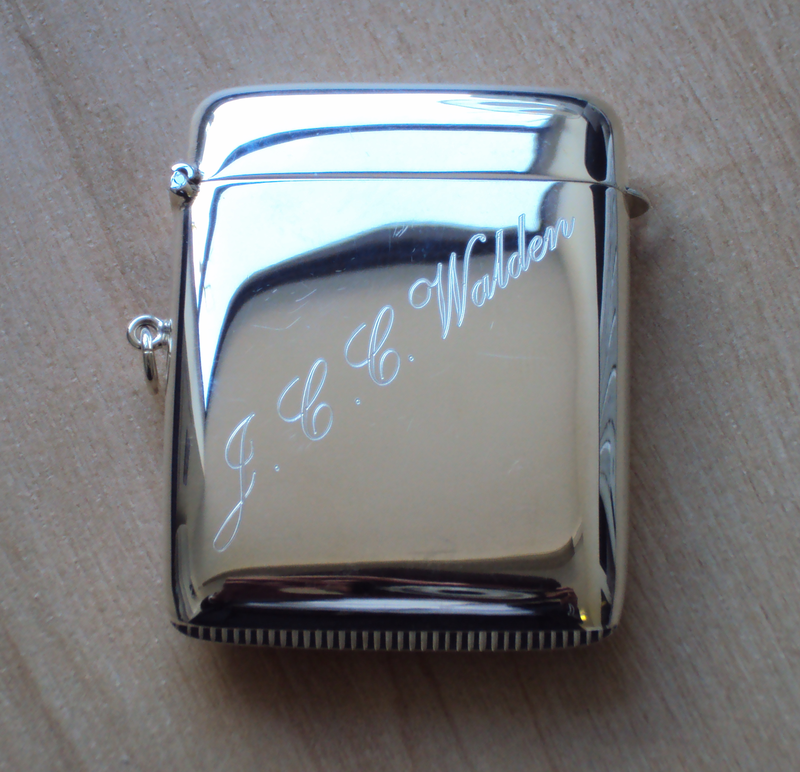 Within a few years it had become the established custom, and a Brother who works a ceremony from the Chair “without standing in need of prompting or correction” receives a silver matchbox, engraved on the front with his name and on the reverse with the heading “E. L. of I.” and beneath it the ceremony he has worked, together with the year (e.g. “2nd. Deg. & T.B. 1975”). If the Brother subsequently works a different ceremony without correction, that is recorded in the same fashion, and if he has worked all four ceremonies without correction, the words “Complete Record” are added at the foot of the list. In order to qualify, the ceremony must be worked by the Master without any mistakes in either words or actions. As at the end of April, 2007 345 Brethren have received a matchbox, of whom 120 have achieved a complete record. There is no doubt that over the years many Brethren have been inspired to work at Emulation Lodge of Improvement by the prospect of winning this unusual accolade. It should not, however, be overlooked that a matchbox is an indication only of strict accuracy; it says nothing about the quality or impressiveness of the ceremony. Many word-perfect ceremonies can only be described as pedestrian, while conversely many Brethren whom the matchbox has eluded to the end of their days at Emulation have worked inspirational ceremonies of which anyone could be justly proud.